Enjoy an evening dining outdoors with ten guests around our famous 300cm reclaimed teak Trestle Table dining table, 290cm Trestle Bench and Gilbert wicker dining chairs. The look and feel is both elegant and casual and most importantly warm and inviting. Your guests will feel comfortable and relaxed. Design Warehouse is known for an immense variety of high-end outdoor furniture from dining to relaxing. 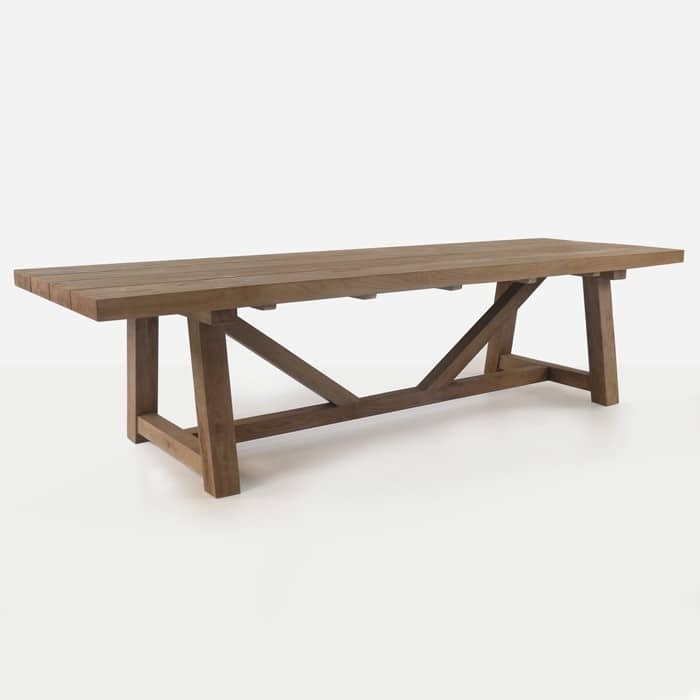 Our reclaimed teak Trestle Table is a fantastic example of our style, quality and variety. The style is universal and can be combined with so many of our dining chairs. This allows you to have your own unique look whether it includes wicker, batyline, aluminium or concrete. Enjoy an evening dining outdoors with ten guests around our famous 300cm reclaimed teak Trestle Table dining table, 290cm Trestle Bench and Gilbert wicker dining chairs. The look and feel is both elegant and casual and most importantly warm and inviting. Your guests will feel comfortable and relaxed. Design Warehouse is known for an immense variety of high-end outdoor furniture from dining to relaxing. 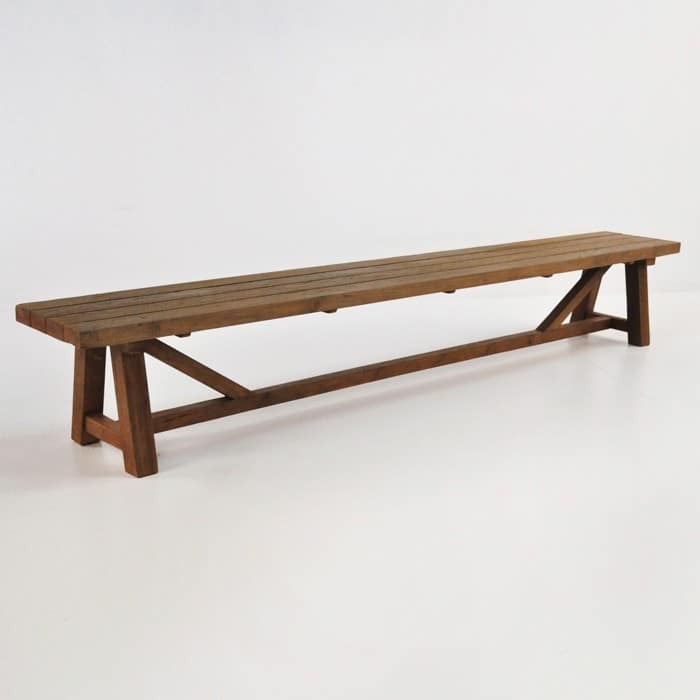 Our reclaimed teak Trestle Table is a fantastic example of our style, quality and variety. The style is universal and can be combined with so many of our dining chairs. This allows you to have your own unique look whether it includes wicker, batyline, aluminium or concrete. The Gilbert wicker dining chair adds the perfect touch of elegance and class while emoting a warm and cozy feel. 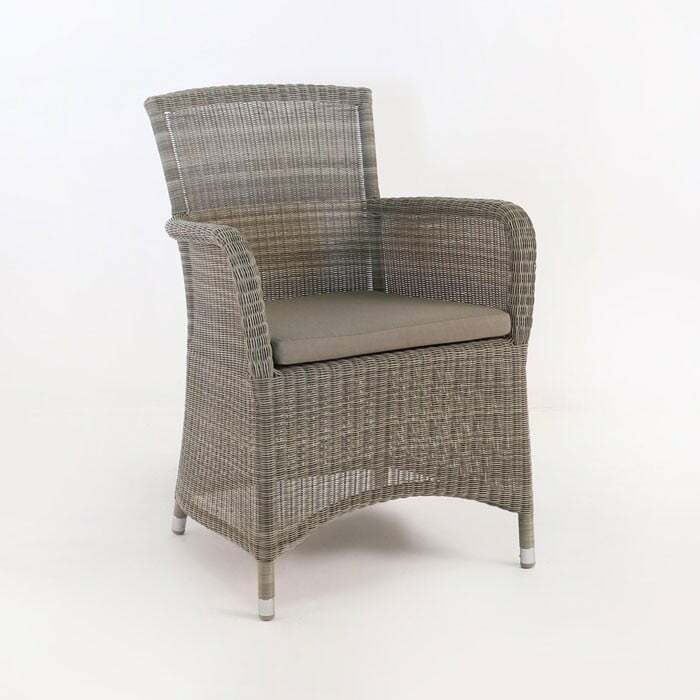 The Gilbert dining chair is made with outdoor Ecolene® wicker. It is precisely woven around a powder-coated aluminium frame. The mix colours of are beautiful and the wicker is smooth to the touch. Reclaimed teak, wicker and powder coated aluminium are great materials for outdoor furniture. We only use the highest quality materials ensuring you will enjoy it for many years to come. It is important to keep your furniture clean to ensure it’s good looks. The chairs should be stored indoors for the harsh winter months. 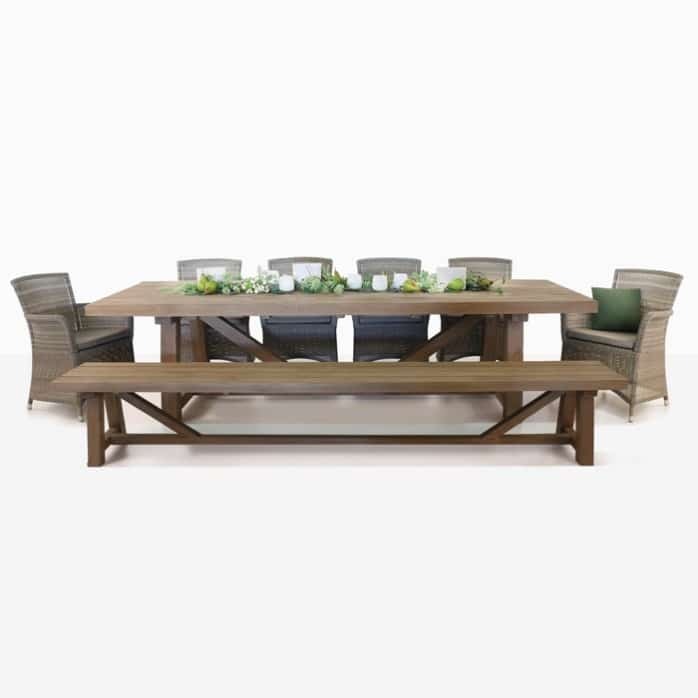 This outdoor dining set will make your guests feel welcome and comfortable. We have many options available. One of our talented sales associates will assist you in finding exactly what you need for your outdoor space.